Last night, the live-stream of Kanye West's album listening party started out tame with not much going on. The camera showed a fire burning, predicting the outcome of the public reaction to the album. Horses walked around in the background as commenters impatiently waited for hours before the official party began. As with previous Ye albums, the rollout to ye has been strange and mystical, with very little known about the project until its official release. Even the cover art was kept secret until a few moments ago but it is surprisingly fitting for the content he discusses. Kim Kardashian revealed that the album art was shot on the way to the listening party with Kanye adding a phrase atop, writing, "I hate being Bi-Polar its awesome." Diving into his suicidal and sometimes homicidal thoughts on the intro track, this is already noticeably introspective from the legendary artist. 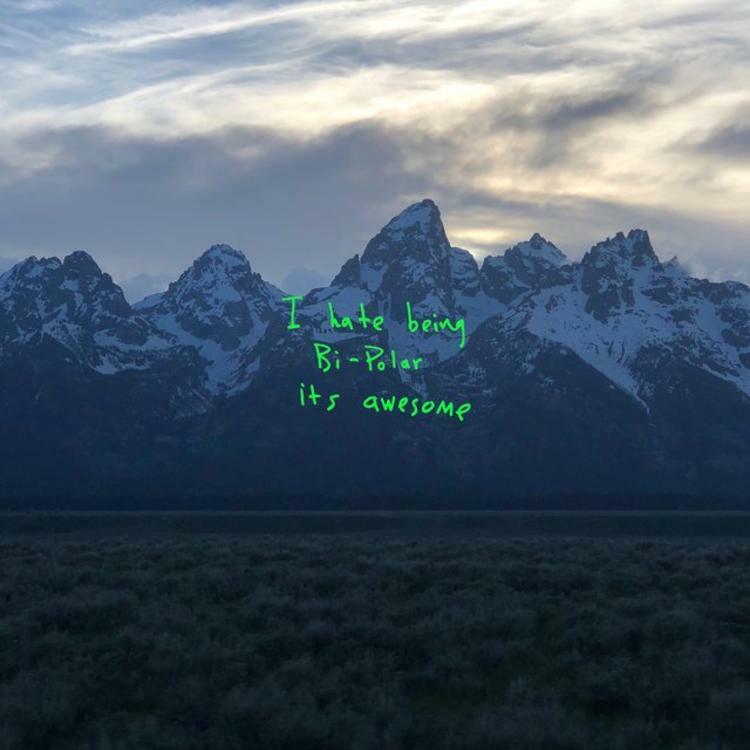 Finally showing up on streaming services this morning, Kanye gets emotional on nearly every track, speaking directly to Kim Kardashian at parts and discussing his most troubled moments at others. With appearances from Ty Dolla $ign on "All Mine" and Kid Cudi and 070 Shake on "Ghost Town," Kanye is working with artists that he is familiar with on ye, getting comfortable while working extensively in Wyoming. After listening, what are your first impressions on the project? How high does ye rank on your list of all-time Kanye albums? Black Thought & 9th Wonder Are In God Mode On "Streams Of Thoughts"